"I was torn. I was partial to the vest-under-blazer look, but it just didn’t quite feel British. As ever, my Tyrwhiteers came to the rescue. 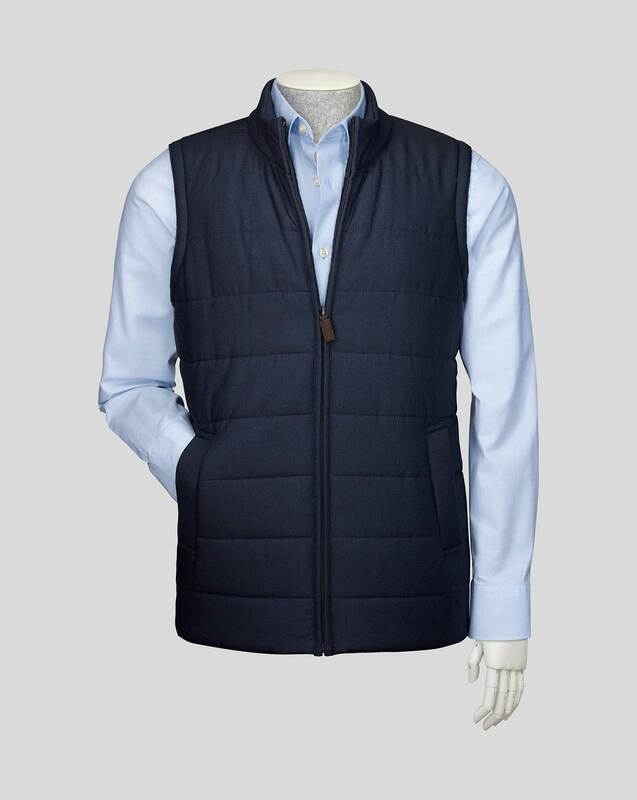 This padded vest has a knitted merino back, lending it a British edge and making it wonderfully smart on its own or under a blazer." "A piece of your business casual puzzle: this padded gilet has a knitted merino back for effortless layering."